So instead of saying sorry all the time, we'll just have to admit that sometimes we run short on time and energy, and we have to pass blogging. Don't worry though, we'll do our best to update Sakura Kiss everyday, but we just want you to know we have to skip a day sometimes! 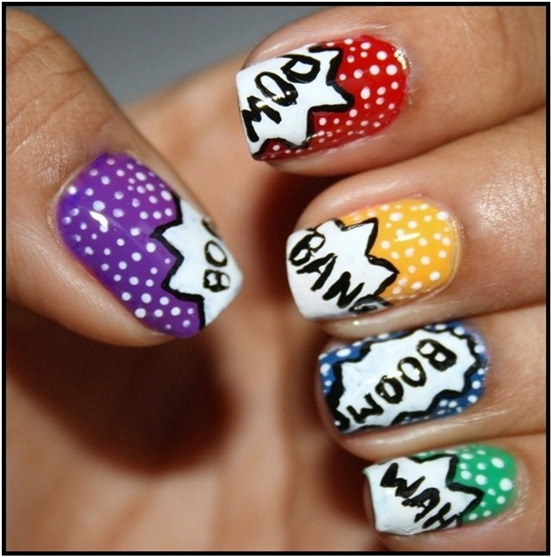 Today's theme is nail polish! I know a lot of girls that hardly ever use nail polish. Some may find it too difficult, some thinks it's too girly, and others simply thinks it's too much work. Well, time to change your thinking, ladies! 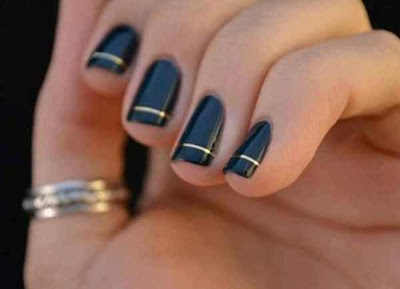 Nail polish is a great way to express your style, and it's not like nail polish is reserved for a particular type of girls. There are endless color combinations, and once you learn some techniques you can get even more creative. 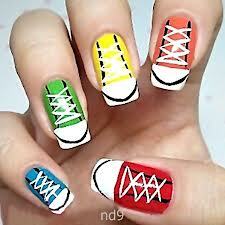 Nail polish can fit any style, you just have to think outside the box. Take a good look at the colors next time you shop, and buy from a good brand. It's easy to get discouraged when the polish gets sticky or won't dry. Use a basecoat. 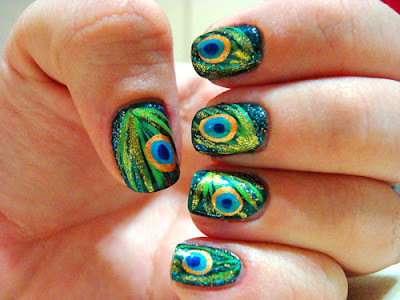 It will make the surface more even, and make the color last longer and prevent chipping. My ideal basecoat is thin and fluid, applies easily on the nail, and it dries quickly. Apply two layers of color. Yes, it takes some more time, but it's worth it! The color will come more to it's right, and it won't look faded or transparent. Take your time. 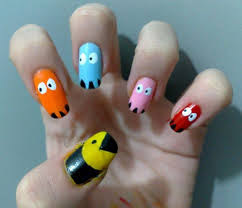 Especially if you're not used to apply nail polish. Don't apply when you're in a hurry unless you're a pro. Remember, it takes some time to dry completely. Use steady, broad brushes. Try to cover as much of the nail as possible in one brush. Use a newspaper or similar on the table when you apply. 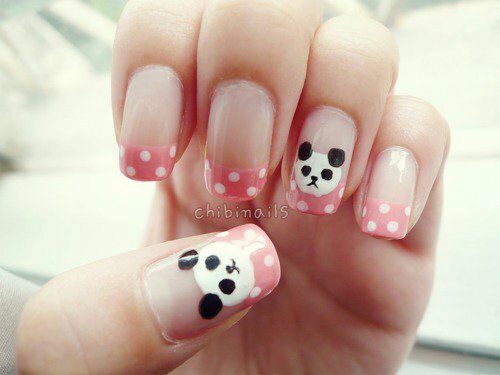 Nail polish should be in the bottle or on your nails only. I also recommend finding an easy way to remove the polish again. Cotton pads that falls apart and nail polish remover that smells like acetone isn't very pleasant. Especially if you ever spilled a bottle of it. 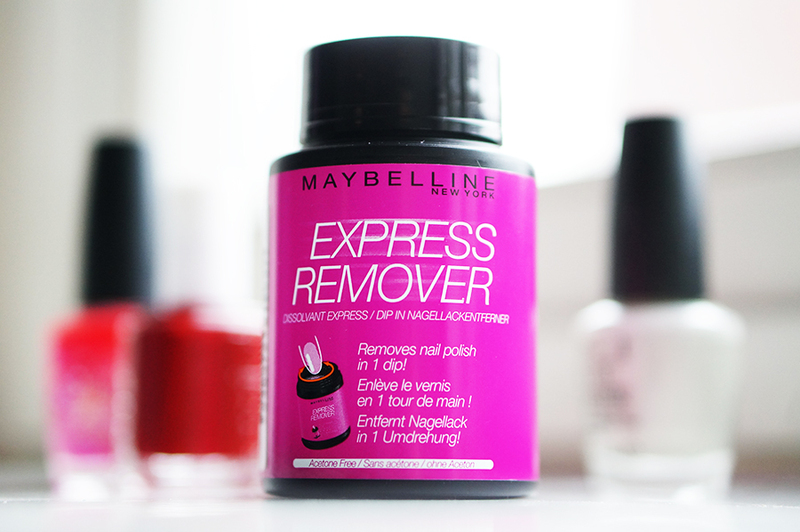 In fact, steer clear of spilling bottles in any way while doing your nails! You don't want acid or polish anywhere else than where they belong (in their bottles or on your nails). I have a slight crush on the Express Remover from Maybelline. It has a sponge full of nail polish remover inside it, and you simply dip your finger and twist it. And the polish is gone! The first time I tried it, it felt like magic. This little thing is going to save you a lot of time and frustration. 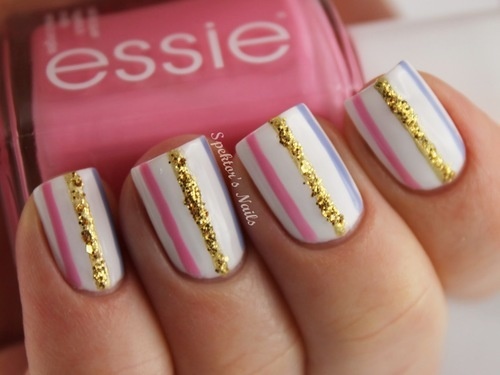 Essie is by the way an amazing brand. If you haven't tried it yet, you should. It's worth the money. 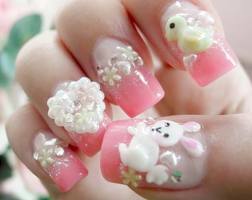 An example of 3D-nail design, that's a bit more advanced.